Related finance companies have been around for a long time…and so have the IRS guidelines for valid RFCs that auto dealerships must follow for tax compliance. Like third-party lenders, RFCs can offer to acquire receivables at a 25-40 percent, up-front discount of fair market value (FMV). Problems arise, however, when the discount is not based on FMV or when the dealer cannot prove an actual benefit from the transaction of either improving cash flow or shifting risk. After the transaction, if the dealer is still directly responsible for the asset in terms of collecting payments, owning title, or collecting any insurance proceeds, for example, the IRS will question whether a sale of property actually occurred. A discount is typically acceptable in nearly all transfers of receivables. The level of discount is influenced by credit history, past payment history, time on the note and age of the vehicle. Related Finance Companies can offer to buy notes at a discount regardless of whether they buy in bulk or choose transactions selectively. Could the debtor have obtained financing from third parties or was it unlikely? The car jacket usually includes a credit report on the borrower. If the discount rate is large, the customer will have a poor credit history. If these loans were sold to the RFC at FMV, then similar loans sold to third parties will have a similar discount rate. Frequency of payments on the loan required: weekly, biweekly, or monthly? Required weekly payments generally indicate higher credit risk. Poor customer collections decrease the value of the note receivables. If the markup is the same, then the face amount of the note should be the FMV of the note on the loan date. To the extent the markup is higher on dealer-financed sales, the FMV of the loans are less than their face value on the loan date. In addition to these considerations of FMV, the IRS will look at the date of the discount relative to the date of the loan transaction. The closer the discount date is to the loan date, the less likely that factors such as a change in interest rates could impact the FMV calculation. If the IRS determines that no actual sales transaction took place with an entity separate from the dealership, auditors may perform a tax adjustment calculation. This calculation equals the dealer’s increase in taxable income, which can be substantial depending on the number of transactions in a given tax year or years. All other unrelated income or expenses of the RFC will also remain on the RFC return. Again, it can be very complex and time-consuming to regularly review the multiple areas of your entity forms, operations, transactions and tax reporting to ensure full compliance with the IRS on related finance company operations. This is why many dealerships fall short in the event of an IRS query. To help you determine if it’s the right time to review financial management of your auto dealership or RFC operations, the IRS provides a helpful checklist of common questions to consider. Download Cornwell Jackson’s whitepaper and checklist on RFC risk management. Scott Bates is an assurance and business services partner for Cornwell Jackson and supports the firms auto dealership practice. His clients include small business owners for whom he directs a team that provides outsourced accounting solutions, assurance, tax compliance services, and strategic advice. If you would like to learn more about how this topic might affect your business, please email or call Scott Bates. Blog originally published Dec. 4, 2015. Updated on March 6, 2018. Does Your RFC Pass the IRS Validity Test? Related finance companies (RFCs) were not designed to be a tax-planning vehicle to reduce or defer auto dealership income. If the IRS validity test discovers noncompliance that cannot be explained in the RFC’s or dealership’s documentation, additional taxes and penalties can be severe. We find that many RFCs and dealers do not regularly review their operating agreements or operations to comply with validity factors for the RFC and its transactions. The process is understandably time consuming and complex. You can rest assured, however, that if the RFC receives an IRS query, then a dealership query often follows. RFCs are usually set up as S Corporations. 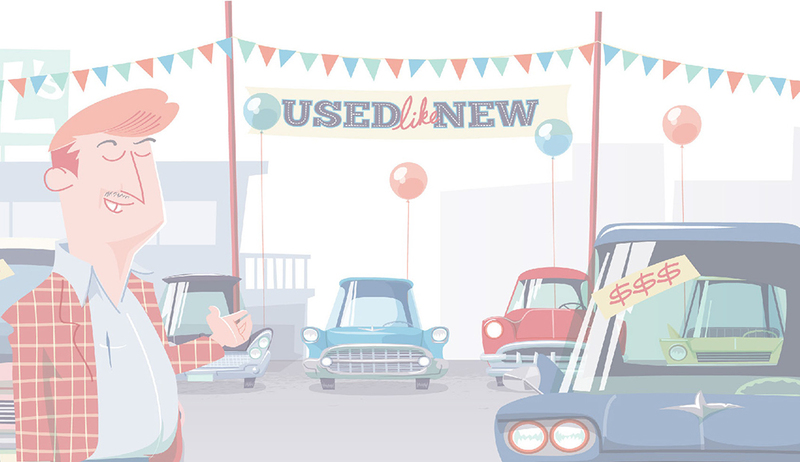 The RFC acts as the lender in the dealer’s financing of used vehicles. The notes are sold to the RFC at a discount due to the higher risk the RFC incurs in the transaction. The RFC accrues the income as it is earned from the car buyer’s weekly or bi-weekly payments. The dealership collects cash up front, then books a current and deducted loss for the difference between the full contract and the discounted contract. According to the IRS, a valid RFC must have the following characteristics. At the time of each transaction, the RFC must show actual cash reserves in its own bank accounts to pay the dealer; the dealer in turn must record receipt of payment for the note. Each entity must have separate journal entries for the transaction. If journal entries don’t match up, the IRS may disallow the transaction. As for its validity as a separate entity, if the RFC doesn’t have a separate address and does not advertise itself as a separate company, it factors into the validity test. It must also be proven that the RFC is directly collecting payments and paying actual employees. If the IRS does not view the RFC as a separate entity by these tests of validity, it will not allow the dealership to claim a deduction for losses on the sale of discounted vehicles to the RFC. It will defer to related party rules under IRS code 267 that do not allow loss deductions in transactions made between related persons. Without proper structuring as a separate operation, an RFC can become a liability. The RFC may be completely valid, and the legal form can be proven, but dealers and managers must be confident in their ability to show proof and documentation in the event of an IRS query or audit. Sharing staff or running RFC bookkeeping and administration through the dealership to save now can prove costly in taxes and penalties later on. The IRS may determine that the RFC is not a valid separate entity. This finding, in effect, invalidates the cash method of accounting for the sale of notes to the RFC. Interested in more details about RFCs and auto dealership accounting? Download our whitepaper on RFCs. Blog originally published Dec. 3, 2015. Updated on February 20, 2018. A related finance company can provide a useful service to the public when operated to help auto dealerships sell cars to people who need an alternative financing method. This does not mean that every dealer should operate an RFC. Rather than a benefit to the dealer, it can actually be a financial drain due to unnecessary overhead costs. In addition, the Internal Revenue Service has imposed increased scrutiny on RFCs over the last few years to crack down on potential noncompliance issues. There are pros and cons to RFC creation and operation. Let’s look at the pros first. These entities allow dealerships to work with consumers who have little, no or bad credit. The consumer is able to finance a car through the RFC, separating the dealership from direct payment collections and insulating it from possible bad publicity if the loans default. Because interest rates charged in a “buy here, pay here” car purchase are substantially higher than with traditional loans, an RFC must maintain a larger level of cash reserves. The RFC keeps the default financial risk separate from the dealership. History shows that when an RFC is involved in collection of auto loan payments, customers are less likely to default than when making payments directly to the dealer. In addition, RFC discount rates may be lower than what a dealer would obtain from third party lenders — resulting in a better profit per transaction. Another benefit, depending on the licensing and regulatory requirements of the state, is the ability for the dealer to isolate liability for violation of licensing or capital requirements for finance companies. Such violations, if they occurred in the operation of the RFC, wouldn’t affect normal operation of the dealership. In fact, RFCs work very well for dealerships that have approximately $1 million or more in receivables. This is the breakeven point if you look closely at the numbers of any given transaction compared to a straight retail sale as well as the overall net benefit on any income tax deferrals. Even at $1 million, however, dealers and managers need to consider very seriously if the additional overhead costs and administration of an RFC result in an overall financial benefit. An RFC is, after all, a separate entity and must be operated as such to meet IRS guidelines. This includes many fixed operating costs along with the costs of employing separate staff and ideally maintaining a separate location. Dealers need to factor in the time and money spent on creating the entity and then operating it. You must compare that ongoing expense to the potential savings based on your receivables. 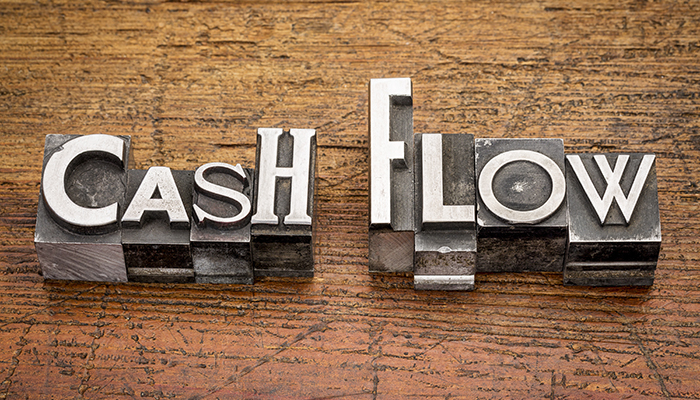 As receivables grow past $1 million, an RFC starts to make more sense. Well-managed RFCs can offer discount rates much lower than rates offered by a third-party lender. Dealers can also rely on RFC experience to be more selective when extending credit, improving the quality of transactions. Proper management is the key, including the burden of ongoing diligence to satisfy IRS requirements. The trouble starts when the structure and operation of the RFC fails to pass the IRS validity test as an entity that is truly separate from the dealership. Interested in more details about RFCs and auto dealership accounting? Download our whitepaper. Continue Reading: Does Your RFC Pass the IRS Validity Test? Blog originally published Dec. 2, 2015. Updated for content on February 6, 2018. Your dealership likely prepares and sends operating reports to your manufacturer every month. How you use the reports beyond sending them to the factory can have a big impact on your dealership’s profitability. Here are three ideas for using your monthly operating report as a tool to stay on track as the year progresses. 1. Keep an Eye on Revenue. Every manufacturer’s report is different, but yours likely contains, in some format, a summary of that month’s operating revenue. These figures can quickly tell you which departments are the moneymakers and which lag behind expectations. Let’s say that the current month’s operating report for a dealership shows that it brought in the following in gross revenues: $2 million in new car sales, $750,000 in used car sales, $140,000 in parts sales, $61,000 in service income and $56,000 in body shop income. You also can see how income from your store’s various departments compare with the prior month, as well as a year ago, the dealership’s projected budget, benchmarks and so on. Let’s assume that you projected $2.25 million in new car sales for the current month. With sales coming in at only $2 million, you are concerned that first quarter sales are off to a slow start and, thus, choose to move up by several weeks a new car sales promotion you had planned to run in two months. Another example involves gross revenue versus turnover. Take Dealer A, who buys a vehicle for $20,000, holds it for 90 days and finally sells it making a $3,000 gross profit. Many dealers would be pleased with this outcome. But let’s also consider Dealer B, who spends the same $20,000, sells the vehicle in 30 days but only achieves a 10 percent profit margin or $2,000 gross profit. The difference is that Dealer B does three times the sales in the same 90 days, doubling his total gross income compared to Dealer A. There are many other ways to use your operating report to analyze front-end operations. 2. Figure Out the Reasons Behind the Numbers. When you analyze the back end of your operations, for example, you’ll look at income and expenses in the service, parts and body shop departments. Let’s say that you have a gross profit of $33,000 in the service department. This alarms your manufacturer, because it’s less than 55 percent of your monthly service sales and shows that your gross profit percentage has slipped from the target of 65 percent. But it shouldn’t be a major concern if the reason for the shortfall is that the department was busier than usual refurbishing used cars for sale next month — and profits for that venture won’t start showing up until the following month. Let’s say that your store’s benchmark range for service absorption is 85 to 100 percent, but your current operating report shows your store coming in at 83.8 percent for the month. This figure is only slightly below the bottom of your benchmark range. Nonetheless, you might want to take steps to lower expenses or bump up revenue for the next month to be sure your store is in the benchmark range. Achieving a service absorption of 85 percent or higher will give you a competitive advantage over your competition, because the new and used departments only need to cover 15 percent or less of your dealership’s total fixed expenses. Thus, you can afford to take less gross profit on an individual sale. By studying your manufacturer’s operating reports, you can arrive at countless insights, from your day supply of vehicles to the gross profit per technician to determine an adequate employee count in the back end. All of this knowledge can be golden, because it helps you recognize strengths, pinpoint weaknesses and set goals for the rest of the year. Don’t let it go unnoticed.